An evening with acclaimed creative Mark Gonzales, and the return of Professor Ramon Grosfoguel to IHRC (full details below). We will also be holding a panel discussion in Istanbul on the situation in Egypt. The radical American storyteller Mark Gonzales will be performing in a special one-off event. Organised by the IHRC in London on Monday 4 November. Gonzales uses a unique blend of quickfire rap and poetry to concuss his audience into reflecting on the major global themes of the day. His performances have earned him plaudits worldwide. Deep concerns as Tories push ahead with bill. 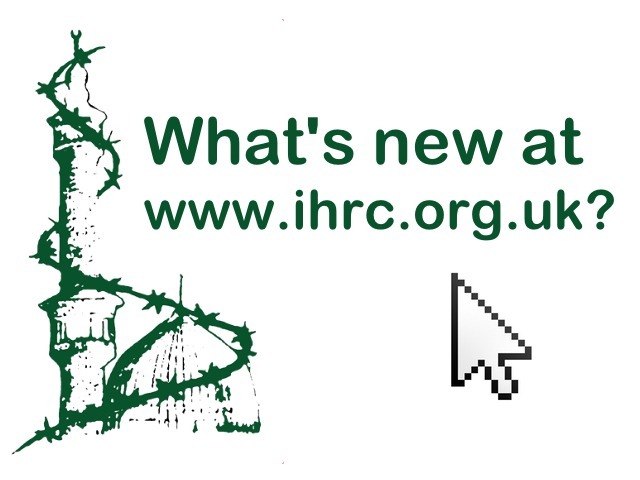 The IHRC condemns the wave of recent immigration raids across the country aimed at netting and deporting illegal immigrants and has responded by initiating a series of workshops to inform people of their legal rights. Speakers include Magdy Hussain (Egyptian Labor Party), Imam Muhammad Al-Asi (elected Imam, Islamic Center, Washington D.C.), Mohideen Abdel Kader (Citizens International, Malaysia). More details to follow, including details of more speakers. Ahmed Hassan overviews Houria Bouteldja’s presentation at IHRC in 2013, you can watch the video of Houria’s talk here. Houria Bouteldja, founding member and spokesperson of the Party of the Indigenous of the Republic (PIR) is a French citizen of Algerian heritage and outspoken activist on the rights of French residents of African and Arab backgrounds. Nazim Ali says anti-Shia sectarianism is a growing and worrying trend during the hajj pilgrimage. The pilgrims in Mecca have now pretty much completed all their compulsory acts for hajj and those of us sat many miles away will be glad that it all passed off without any major incident. The Derby Free School row has exposed the level of antipathy that still exists in British society towards Islamic schooling. In fact, along with Islamic women’s attire, it remains the issue most likely to incur the wrath of today’s Islamophobic inquisitors. In the case of Al-Madinah Free School the two flashpoints have converged to form an almighty lightning rod for those seeking to prevent the Muslim community from exercising its legitimate religious and social rights. Faisal Bodi looks at the demonised discourse around Al-Madinah school. The Derby Free School row has exposed the level of antipathy that still exists in British society towards Islamic schooling. In the case of Al-Madinah Free School the two flashpoints have converged to form an almighty lightning rod for those seeking to prevent the Muslim community from exercising its legitimate religious and social rights. To read the full article visit here. Ottomania and the continuing conceits of Empire. A review of Rageh Omaar’s BBC2 series. The Ottomans: Muslim Emperors of Europe on BBC2 finished last Sunday. Three hours isn’t much to cover half a millennium of politics but still much more than has been hitherto given to the subject on mainstream British TV. What a shame then that all we got was more of the same – more of the same exotification (episode one went with harems and slaves amongst other familiar tropes); more of the same oversight of inconvenient parts of history (episode 3 bypassed the soft coup of the 1990s and the attacks on the Refah party and Fazilat Party); and the same slow motion shot of festooned dancing men in the current day celebrating the birth of the Ottoman dynasty founder, punctuating all the episodes, right up to the end of the last one. Islamic Human Rights Commission calls the bill “xenophobe’s charter”. LONDON (AA) – A Human rights group has launched a scathing attack against the UK government’s proposed immigration bill. A political commentator says certain Western groups are working to create divisions among Muslims to impede Islam’s rapid growth across the world. Massoud Shadjareh, who is the chair of the London-based Islamic Human Rights Commission, made the remarks during a discussion about Islamic unity on Press TV’s program The Debate broadcast on Tuesday. Islamic Human Rights Commission calls the bill “xenophobe’s charter”. A Human rights group has launched a scathing attack against the UK government’s proposed immigration bill.